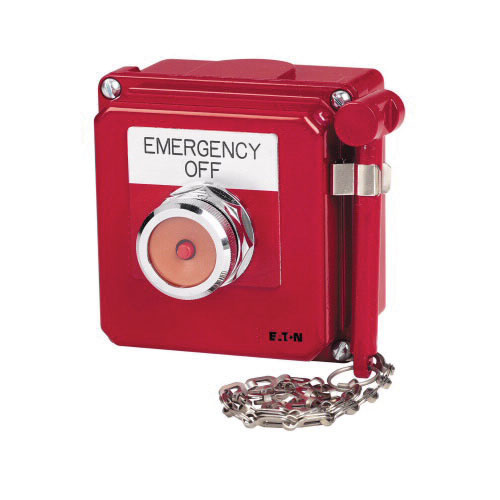 Eaton 10250T Series Heavy duty pushbutton control station features a clear break glass actuator. This surface mountable control station measuring 9.9-Inch x 5.8-Inch x 5.1-Inch, has 1 NC contact configuration. It is suitable for use with automation and logic control equipment. The control station meets UL, CSA and CE standards.